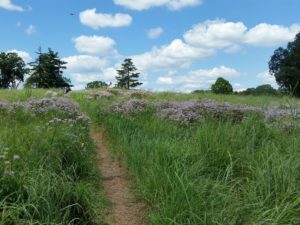 The first habitat restoration project undertaken by the Conservancy in the Hilltop Reservation covers a 15-acre area at the top of the Second Watchung Mountain (formerly occupied by the Essex Mountain Sanatorium). Since the Reservation sits at the heart of the Central Passaic Wetlands Critical Bird Migration Area, it has high potential value as stopover habitat during spring and fall migrations. 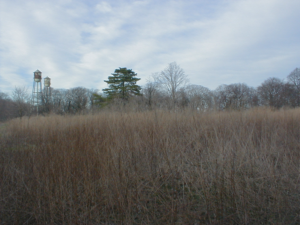 In addition, due to New Jersey’s history of development and simultaneous wildfire suppression, open ridgetop habitats have become increasingly rare in our state. 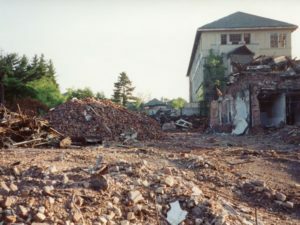 The sanatorium buildings had been demolished by the time the Conservancy initiated the project in 2005. However the site was definitely not ready for planting: it was still chock-full of debris (see Cleaning Up page for examples), not safe for pedestrians, and 99% infested with mugwort (Artemisia vulgaris). 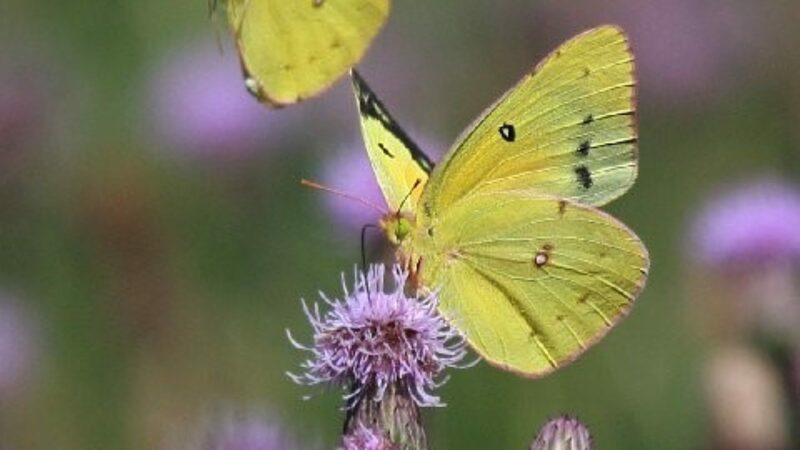 It took 3 full years of heavy cleaning and clearing work by volunteers before we were able to bring in the Fish & Wildlife Service to seed native grasses, e.g., switchgrass, Indiangrass, big bluestem, little bluestem; and wildflowers, e.g., asters, bee balm, lavender hyssop, milkweed, wild senna. See before and after photos below (and note the solitary red pine in the background of both). Today, the grassland is ecologically healthy and a magnet for pollinators, songbirds and small rodents. Raptors, owls and foxes regularly patrol the area for their next meal. Hikers marvel at the open vista and variety of wildlife in the only habitat restoration of its type and size in Essex County.